Despite being an evolutionary upgrade to the D5200, the Nikon D5300 sports a newly developed 24.2MP sensor without an AA filter for enhanced sharpness, and Nikon's latest EXPEED 4 processor for better high ISO handling and 1080/60p HD video. The addition of built-in Wi-Fi and GPS (a first for a Nikon DSLR) makes this compact, mid-range DSLR an excellent choice for upgrading beginners and budding enthusiasts alike. The Nikon D5300 started shipping in the U.S. in late October 2013, priced at nearly $1,400 in a kit with the AF-S DX NIKKOR 18-140mm f/3.5-5.6G VR lens, or at around $900 in a kit with the AF-S DX NIKKOR 18-55mm f/3.5-5.6G II VR, or around $800 for body-only. The body is available in black, red or gunmetal grey. 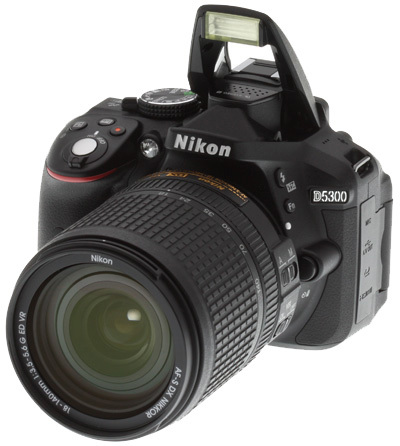 We featured the Nikon D5300 in this year's Best DSLR Cameras Under $1,000 article. The incredible images from the fitlerless sensor design and the solid bundles available for the camera made it an easy pick. Curious to see the best deals for Nikon D5300 bundles? Want to see what other cameras won our 'Under $1,000' crown? Check out our Best DSLR Under $1,000 article now! The Nikon D5300 may mark an evolutionary -- rather than a revolutionary -- upgrade over the 15-month-old D5200. However, the camera's improvements are quite considerable, positioning the DSLR as a compelling, more affordable option for advanced amateurs who may be eyeing the higher-end, prosumer D7100, as well enticing owners of Nikon's consumer-level DSLRs to take a step up. The most noticeable enhancement appears to be the D5300's built-in Wi-Fi functionality, which makes it the first Nikon DSLR that doesn't rely on an accessory dongle (WU-1a/b) to share images wirelessly or provide remote control capture when paired with smart devices. 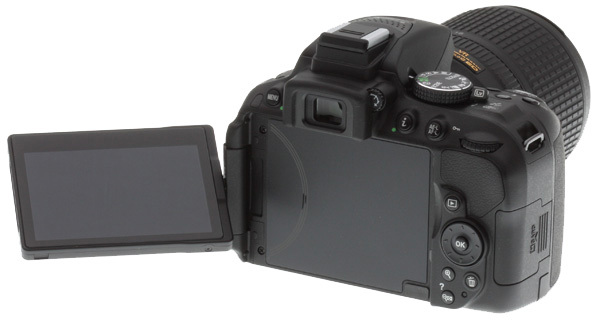 The D5300 is also the first Nikon DSLR to feature built-in GPS. Improved sensor, sans OLPF. In addition to its Wi-Fi savviness, the Nikon D5300 holds a few other advantages over its predecessor, the D5200, and in some instances rivals the D7100. For one, the D5300's enhanced DX-format, 24-megapixel APS-C CMOS sensor helps maximize the camera's resolving power by omitting the optical low-pass filter (as Nikon did earlier with the D7100). Forgoing the OLPF in a consumer-friendly DSLR opens up a realm of incredible detail and sharpness to a mass audience, though with a risk of more moiré and other aliasing artifacts. Processor and performance. What's more, the D5300 incorporates Nikon's latest processor -- the EXPEED 4 -- which even the company's most recently announced full-frame prosumer DSLR, the D610, doesn't have. This next-generation imaging engine purports to better optimize the DSLR's detail-versus-noise output and enhance color accuracy. The Nikon D5300's sensitivity has also been bolstered, now spanning a standard ISO range of 100 to 12,800 (compared to a standard max 6,400 for the D5200), as well as reaching as high as ISO 25,600 in expanded sensitivity mode. Meanwhile, the D5300's continuous shooting speed clocks in at about 5 frames per second at full JPEG resolution, roughly the same as the earlier model, but still above average for high-resolution DSLRs in its class. Size and design. While the D5300 retains the same basic layout and form as the D5200, it's now even more compact, measuring 4.9 x 3.9 x 3 inches (125 x 98 x 76mm) compared to the 5.1 x 3.9 x 3.1 inch (129 x 98 x 78mm) dimensions of its predecessor. The new model is also a bit lighter, weighing just 16.9 ounces (480 grams) empty and 18.7 ounces (530g) with battery and memory card, versus 17.8 ounces (505g) and 19.6 ounces (555g), respectively, for the D5200. Yet the D5300's build feels very robust, featuring a new monocoque body made of carbon fiber-reinforced polymer instead of the usual polycarbonate body over metal chassis construction typically found in consumer DSLRs. The most obvious difference between the two models can be found on the back of the camera, in the form of the larger 3.2-inch Vari-angle (full tilt-swivel, which provides terrific shooting flexibility) LCD monitor that features a whopping 1,037K dots of resolution. 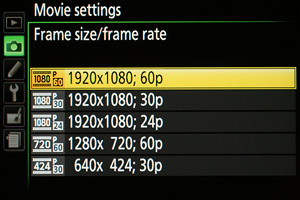 And unlike the D5200's 4:3 aspect ratio LCD, the D5300's display now matches the sensor's 3:2 aspect ratio. Video. Another upgrade on the Nikon D5300 is its video capabilities. The DSLR now records in Full HD 1080p at 60 frames per second, a huge improvement over the D5200 which could only film at 30p, or a max of 60i. Recording at 60p results in much smoother video, and the camera also provides flexibility by also being able to record at 50p, 30p, 25p and 24p frame rates. 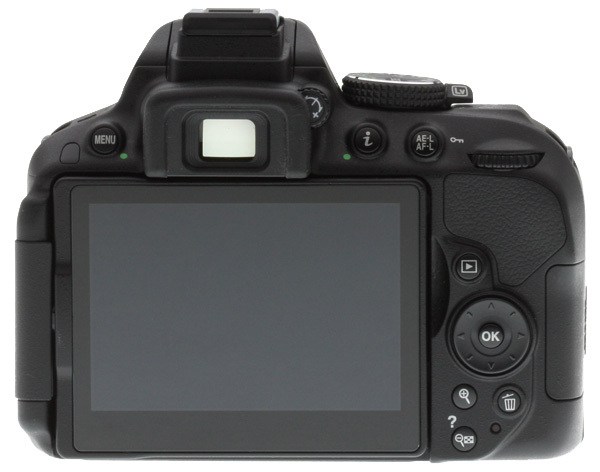 The D5300 features built-in stereo audio mics, and full-time AF is said to have been improved. Autofocus and exposure. Like its predecessor, the D5300 employs Nikon's 39-point AF system, which works in conjunction with the company's Scene Recognition System and 2,016-pixel RGB metering system. Other features old and new. The D5300 brings back a lot of familiar functionality, including Nikon's Active D-lighting mode to optimize dynamic range. 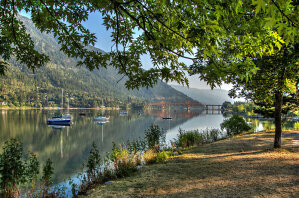 Also returning is a two-shot HDR mode, and a selection of special effects filters ranging from High Key to Miniature. Two new filters have been added: Toy camera (creative vignetting) and HDR painting that applies a drastic HDR effect that posterizes the sky. Wi-Fi and GPS. Again, the camera's built-in Wi-Fi functionality stands out as a highlight, and when used in conjunction with Nikon's Wireless Mobile Utility app, can not only transfer files to connected smartphones and tablets, but also allow for remote control operation of the camera in Live View mode, including touch AF on the paired devices. You can see aperture and shutter information displayed on the phone or tablet you're viewing remotely, but you can't change the settings using those devices. The Nikon D5300's built-in GPS, again a first for Nikon DSLRs, allows photographers to geotag images and share location information with friends and family. Flash and hotshoe. Like its predecessor, the D5300 includes both a pop-up flash, and an iTTL hot shoe for external strobes. The camera supports Nikon's Creative Lighting System, but unlike higher-end Nikon DSLRs, the built-in flash does not support commander mode. You'll have to use a mounted SB-910, SB-900, SB-800 or SB-700 flash, or an SU-800 Speedlight commander to control remote flashes wirelessly. Additional connectivity. 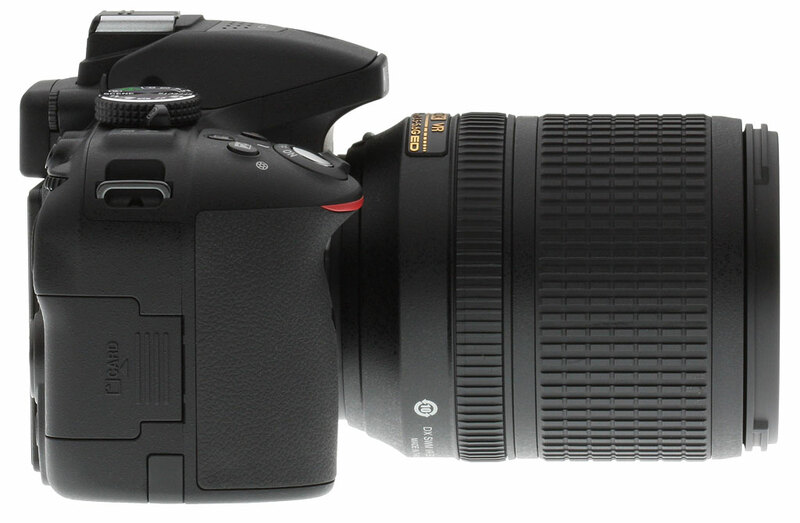 The Nikon D5300 can be connected to a computer or printer using a USB (2.0 High Speed) cable with a Micro-B plug connection on the camera side. This is a combined USB/AV port used for both data transfer and standard-def composite video/stereo audio output. There's also a Mini HDMI (Type-C) port for high-def output with CEC support. The D5300 includes an accessory terminal for use with an MC-DC2 cable remote, WR-R10 wireless remote transceiver, or GP-1 GPS unit (all available separately). A 3.5mm stereo microphone jack for attaching external microphones for video recording is also provided. Like its predecessor, the D5300 also features front and back IR receivers compatible with Nikon's inexpensive ML-L3 infrared remote control. Storage and battery. 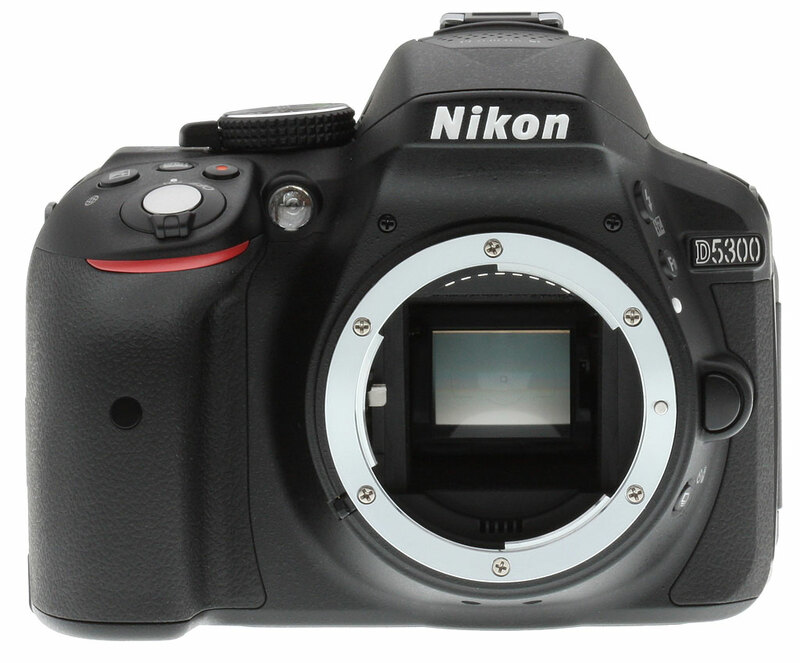 The Nikon D5300 provides a single slot for SD/SDHC/SDXC memory cards, and both UHS-1 and Eye-Fi cards are supported. Still images can be recorded and stored as JPEG, 12 or 14-bit RAW (.NEF) and RAW+JPEG files. Videos are recorded and stored as H.264/MPEG-4 AVC MOV files with stereo sound. The camera is powered by a rechargeable Lithium-ion battery pack (EN-EL14a) and comes with a dedicated charger (MH-24 Quick Charger). The battery is CIPA-rated for 600 shots on a single charge -- a 20% improvement over the D5200, which only provided 500 shots per charge. An optional AC adapter kit (EH-5b AC Adapter) is available separately, but requires an additional EP-5A Power Connector. Analysis. The Nikon D5300 is entry-level when it comes to ease of use, but decidedly high-end in terms of image quality and features. With built-in Wi-Fi, GPS, and extensive video capabilities, it's an extraordinary package. Pricing and availability. As mentioned previously, the Nikon D5300 is available in two kits, either bundled with the 18-140mm VR lens for about US$1,400 (on sale for ~$1,100 at time of writing), or the 18-55mm VR II lens for about US$900. It's also available body-only, for about US$800. The body comes in black, red or -- a brand new DSLR color for Nikon -- gray. The Nikon D5300 will be immediately familiar to anyone who's shot with its predecessor, the D5200. Most controls are all pretty much in the same positions, although the drive mode button on the top panel has sadly disappeared, to make room for the GPS and/or Wi-Fi radios. Design and ergonomics. While I didn't have a D5200 simultaneously available to compare handling with, as far as I could tell, the grip and body ergonomics of the D5300 seem very similar to those of the earlier model. The viewfinder bulge on the top seems a bit narrower and more elongated, possibly giving the flash head a tad more height when it's popped up, but any increase would be minor, more cosmetic than likely to affect red-eye any. As we mentioned earlier, the biggest physical difference is the oversized 3.2-inch Vari-angle LCD display, and I found to be crystal clear, with excellent (1,037K dots) resolution. I'm a bit of a dilettante when it comes to grip design, and the Nikon D5300's is very well executed. The front grip is very comfortable, even with my rather long fingers, but also works very well for people with smaller hand sizes. Holding the camera with a relaxed grip, your index finger naturally falls directly over the shutter button, and your thumb lands right on the rear command dial control. Shooting two-handed, it's easy to get your thumb over to the "i" and AE-L/AF-L buttons, and only a bit more of a reach to drop down to the Playback and Four-way controller buttons. 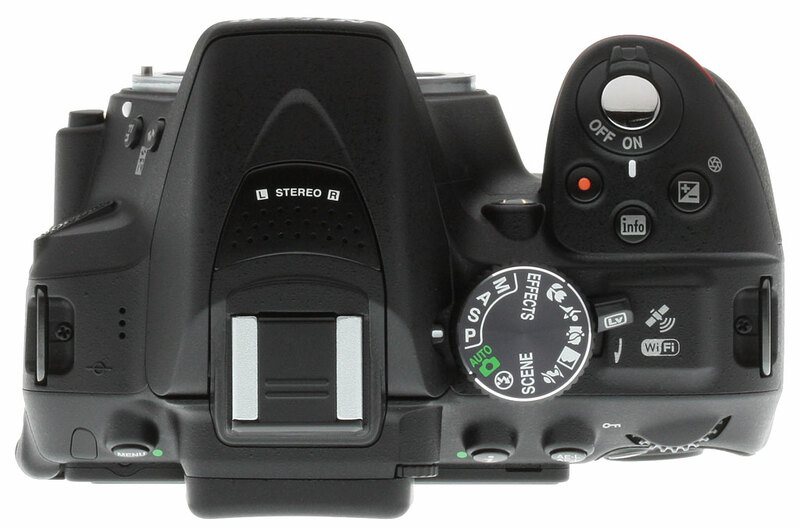 The Menu button is easily accessible in the upper left corner of the rear panel, and the Fn button is easy for your left thumb to get to upon releasing the zoom or focus rings. Smaller viewfinder eyecup. One of the more noticeable changes is in the optical viewfinder eyecup. While the cup on the D5300 is a good bit smaller than the D5200's, I didn't find the difference significant when shooting with the D5300. I suppose the wider cup would prevent a bit more glare from ambient light, but as far as I'm concerned the D5300's smaller one means just that much less to smudge my eyeglasses. The D5300's optical viewfinder itself also sports a very useful enhancement, a very useful higher magnification factor of 0.82x vs the 0.78x of the D5200. A larger field of view in the viewfinder is almost always a good thing, so this increase in OVF effective magnification is very welcome. New kit lens. This was the first chance we'd had to see the new 18-140mm f/3.5-5.6G ED DX VR lens that is kitted with the D5300, and we liked what we saw. Longer-ratio zooms always involve some compromises in optical quality so we didn't expect amazing performance. That said, 18-140mm isn't pushing things as much as the 18-200mm or 18-250mm optics that are on the market, and Nikon's earlier 18-135mm lens was very sharp, its main failing being excessive chromatic aberration. That lens debuted in the days before in-camera CA correction was common, though, so as expected, this new 18-140mm doesn't show much CA in JPEGs. Overall, the 18-140mm performs well for its type, with good to excellent sharpness in the center across the zoom range, though distortion is a bit high. With such a compact body, a 18-140mm zoom adds a fair bit of bulk, but the balance between the two felt quite comfortable, not nearly as front-heavy as we would have expected. With the zoom at its wide-angle position, the center of gravity between lens and body is maybe a quarter-inch or so in front of the lens mount flange. Surprisingly, zooming to full tele only moves the balance point another quarter-inch or so further forward. Holding the camera and lens in both hands, there's no sense of front-heaviness whatever. Video prowess. One very welcome addition is full 1080/60p HD video recording; the earlier model was limited to 30p, and 60p provides both much smoother recording of fast action, as well as the opportunity for great slow-motion -- by recording at 60p, and then playing back at 30p or 24p. (You'll need video editing software to accomplish this, though; the movie file itself contains information saying it should be played at 60p.) The D5200 supported 60i recording, but we at IR frankly don't find interlaced recording very useful or interesting; it plays fine on HDTVs, but some computer playback systems don't cope well with the "tearing" that happens when your subject moves in the interval between one scan field and the next. 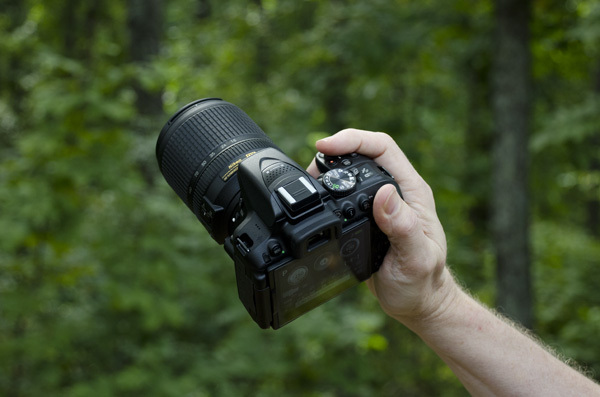 The Nikon D5300 also supports full manual exposure control in movie mode, but still has the limitation that you can't adjust the aperture setting in Live View mode for videos, but instead must drop back to normal viewfinder operation, set the aperture, and then pop back into Live View for the new aperture to take effect. Added creative effects. Continuing a general trend in the industry, the Nikon D5300 sports a couple of additional creative effects / filter options, adding Toy Camera and HDR Painting modes to the previous set, making a total of nine different available effects. This doesn't include built-in HDR, which of course was brought back. Control limitations. While I'm once complaining about things, I'll also mention the slight disconnect I feel when using the quick menu system (accessed by pressing the "i" button) to change various settings. The rear control dial only adjusts program shift (flexible program), shutter speed, aperture, scene or effects mode depending on the mode dial position; other settings can only be changed with the arrow keys of the 4-way controller if there isn't a dedicated button to hold down (like exposure compensation or flash mode). While you need to use the arrow keys to select which parameter you're adjusting anyway, I initially found myself wanting to hit the "OK" button on the parameter I selected, and then use the control dial to rapidly scroll through the options. Instead, you must use the arrow keys to make your choices. This isn't much of an issue for settings with few options available, but I found it a bit of a pain when faced with a lot of options, as is the case with ISO (though you can program the Fn button to select ISO and use it in conjunction with the dial). We don't have any (easy) way of verifying the numbers, but Nikon reports that battery life has been considerably enhanced, going from 500 shots in the D5200 to 600 in the D5300, using the CIPA battery-life measurement protocol. That's a noticeable step up in performance. Hands-on summary. Overall, we're excited about the improvements in the Nikon D5300, especially its Wi-Fi and video capabilities, and we're pleased that it performed well in the lab and in the field. Read on for all the details. Nikon's D5300 is essentially a thoughtful upgrade of the popular, much admired D5200, which, at the moment, is still available brand new at about $150 less. 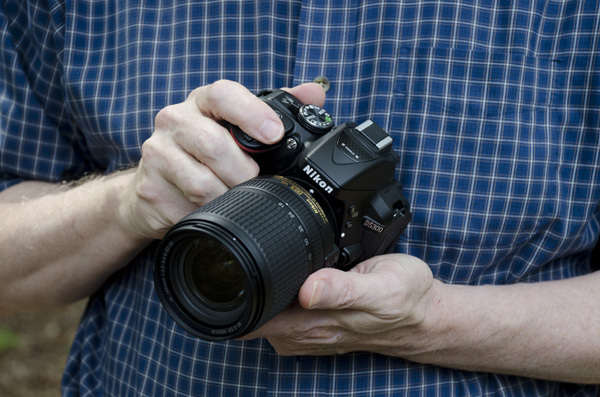 Like its predecessor, the D5300 is perched at the upper end of the entry-level tier. It's a broad-spectrum model designed to appeal to those buying their first or second DSLR, but also with enough performance, panache, and advanced features to satisfy budding photography enthusiasts. Overall, it's compact and solid, and its large, ergonomic handgrip, excellent balance, and well-placed shutter-release button contribute to its fine handling. I put the D5300 through its paces using the higher-end kit lens, the AF-S Nikkor 18-140mm f/3.5-5.6G ED DX VR, which provides a 35mm equivalent field of view range of 27-210mm. While this lens increases the price of a D5300 outfit by at least $200 compared to the standard 18-55mm VR II short zoom, I would strongly recommend it to any prospective D5300 purchaser -- it balances beautifully on the camera, considerably extends the camera's shooting versatility, and its imaging performance is good for a kit lens with its range. Read our Field Test for our thoughts on real-word handling and performance. Pixel peep our standard Still Life comparison crops to see how the Nikon D5300's JPEGs stack up to its predecessor, the D5200, as well as to competing APS-C cameras such as the Canon T5i, Samsung NX300 and Sony A58, and even to its big brother, the Nikon D7100. Does the D5300's AA-filterless 24-megapixel sensor and EXPEED 4 image processor deliver the goods? You be the judge and let your eyes decide! Read our Image Quality Comparison to see how the Nikon D5300 stacks up! How do the D5300's images look on paper? Print quality and image quality are similar but not identical, because what you see on a print isn't always the same as what you see on the screen. Our print quality analysis answers the important question: "Just how big can I print my photos at higher ISOs?" You may be surprised by what this little DSLR is capable of. Get the scoop on the Nikon D5300's print quality. A worthy successor to the D5200? At first glance the Nikon D5300 may look just like the D5200, but there are some decidedly big upgrades under the hood that make it an even more attractive option for more serious beginner photographers and budding enthusiasts as well. One of the major upgrades comes in the form of a new, high-resolution 24.2MP sensor without an optical low-pass filter, putting it on par with the resolving power of the D7100. Nikon's also squeezed in their latest EXPEED 4 image processor for not only improved JPEG image quality and battery life, but also better video recording capabilities as well -- now up to 1080/60p Full HD video. The D5300 is also the first Nikon DSLR to feature built-in Wi-Fi connectivity (no more WU-1a/b dongle) and GPS. While the design of the D5300 looks fairly straightforward for a consumer-oriented DSLR, the camera nevertheless is very comfortable in the hand with a nice, solid feel thanks to the use of carbon-fiber reinforced plastic. Nikon's also managed to cram in a larger, 3.2-inch hi-res LCD, while still making the D5300 a few cubic centimeters smaller than its predecessor. The screen is bright and crisp to read in good lighting with the same 3:2 aspect ratio as still images, but the glossy outer surface can be prone to glare and reflections. Read our Nikon D5300 Conclusion for the final word on this unique camera.